What an amazing day of action! We felt the strength of our collective muscle yesterday in a series of pickets that culminated in a massive rolling protest! Nineteen picket lines were planned for day one of our seven-day strike, and nineteen picket lines were put in place across London and Bristol. The picket lines were all solid and in some places ran the length of entire buildings! 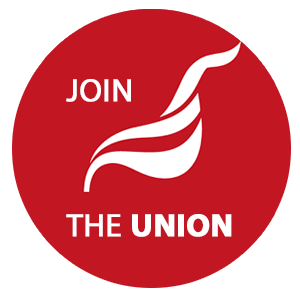 St. Mungo’s Broadway Unite members in Camden and Westminster; in Islington and Lambeth; in Southwark and Hammersmith and Bristol and beyond were on strike and picketing in defence of the heart and soul of the new charity. It has to be said that union members on picket lines should be congratulated on their exemplary behaviour. All our actions were carried out in compliance with the law and with good practice guidance. It is also true to say that our actions have not been without some anger. How could they not be when we have been treated with such an incredible amount of arrogance and disdain? But our actions yesterday do us credit as union members. We were dignified and we were effective. And perhaps that is what the executive don’t like. The protest at Griffin House began as planned at 10.30am and members arrived from across London from their own projects and picket lines. There were around 300 people filling the forecourt and pavement outside Griffin House by 12pm. A party atmosphere prevailed with music, dancing and a lot of vuvuzela noise. Union members from every part of the organisation joined together in defence of our commonly held values. The response of the public was very supportive with passers by and shop keepers all taking leaflets and making their support known. A passing sandwich deliveryman took flags for his cart and some St. Mungo’s Broadway donors said that they would be raising concerns with SMB that the pay of new front line staff will be cut. We know that pay cuts for new starters will soon mean pay cuts for all front line staff, many who are struggling to make ends meet at the moment. We know that if staff can’t function, we can’t support our clients. At 12.30pm a rally was held in the shadow of Unite’s Giant Inflatable Rat (a regular attendee at many protests) and members packed in around the PA system to hear speakers, including Pete Kavanagh, Unite Regional Secretary, who promised full financial support for the dispute. Sally Kosky, National Officer of the Not For Profit Sector also spoke and pledged national support. Adam Lambert gave a summary of the talks at ACAS from the previous day and highlighted a lack of honesty and unwillingness to compromise by the senior management team. There is more detail about this in a separate email from Nicky Marcus, Unite Regional Organiser, who also spoke. David Oladele did a great job as compere throughout. There were other speakers from the reps team, including Jon Hughes, who stressed that after a brilliant start to the strike, we all need to keep up the pressure and make sure that picket lines are solid throughout next week and that protests are well attended. All of the speeches were punctuated with shouts, chants and vuvuzela blasts from the crowd packed onto the forecourt. Got to go – back to Griffin! The protest then moved off to take on the chair of the board of trustees of St. Mungo’s Broadway, Paul Doe, at the head office of Shepherd’s Bush Housing Group. This meant all 300 union members travelling 3 stops on the tube from Hammersmith to Turnham Green. The march streamed down the Hammersmith Road towards the tube, fronted by the NSSN banner and after a short, packed journey, congregated at the entrance to the SBHG building on Flanders Road. Another noisy but peaceful protest was staged with chants of “Paul Doe’s – Got To Go!” ringing out down the street. The protest wound up at around 1pm and members convened at a local pub where strategy was discussed over orange juice and beer. The Vice President of the Bakers Union had been brought along by some supporters from Unite the Resistance and joined members for an impromptu meeting where the strategy that was used to beat bullying bosses at the Hovis dispute 12 months ago was discussed. It was decided that due to the great success of the day’s protest it would send a clear message if we rounded off the week with another protest at Griffin House. There will be communications sent out to all members to make this happen. Well done to everyone who took part in all the actions yesterday. It was a fantastic start to our strike. Everyone should be very proud that we are fighting for what is right within our organisation. Let’s keep up the pressure and make sure that the national demonstration, the picket lines next week and the demonstrations planned for local authority buildings are well attended and as strong as the protest yesterday.